A simple blood test for migraines and gluten intolerance or full blown Celiac disease may mean the difference between heaven and hell for you. Did you know that migraines can be triggered by gluten in foods? Dr. Alex Mauskop (2011) says that he has had a number of patients reduce their headaches using a gluten-free diet. He cited a study from BMC Medicine that showed that gluten sensitive participants, even though they did not have the antibodies associated with Celiac Disease, and had normal biopsies, still had signs of an immune reaction in their blood. I have been led to believe that being gluten sensitive is not real. But in this study the participants improved greatly on a gluten free diet and experienced similar symptoms to the full blown disease when gluten was introduced again. I think if you are experiencing chronic migraines or even just regular headaches, or these symptoms: bloating, diarrhea, constipation, fatigue and "mental fog", then it my be worth trying a gluten free diet. 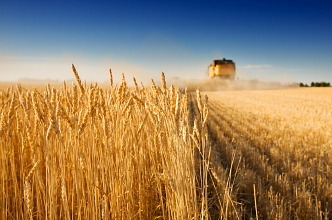 Another recent study showed that migraines are more common in people with Celiac disease. Migraines and gluten intolerance can also be a problem, even if the antibodies aren’t attacking your intestines. However, this study said that even over a number of years of being on a gluten free diet, there was no influence on severity of migraines (Celiac.com). It did not mention frequency or duration. I do know that I have been gluten free for several years now and it did not make a difference to my migraine attacks at all, on any level. I did notice a huge increase in energy levels after removing gluten from my diet. My symptoms reduced, but it took a few years. But I won’t bore you with that. Let’s just talk about migraines and gluten. There's an 8 week food experiment in my Migraine Pain Management Course. Click here... the first module is free. 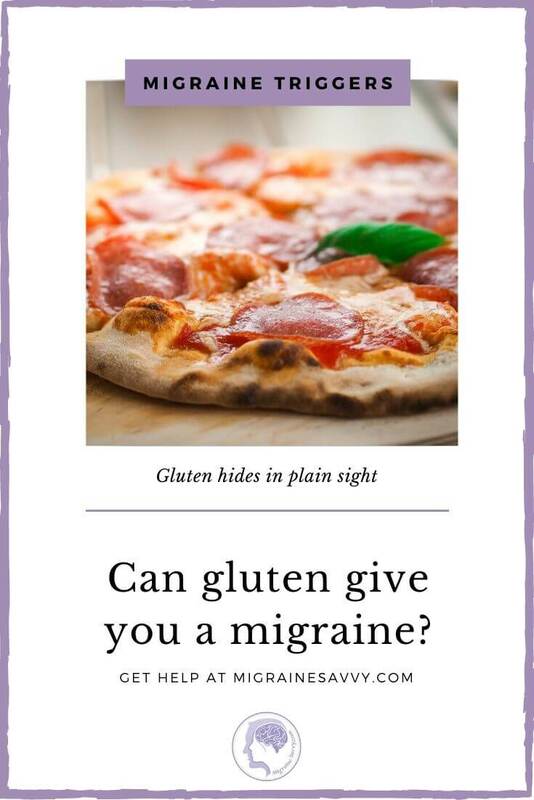 According to Dr. Rizzoli, et al authors of the The Migraine Solution, “Gluten can also be found in: medicines, vitamins, and even the glue on stamps and envelopes. When those with the disease eat foods with gluten, their immune system responds by causing damage to the small intestine. Symptoms vary, but scientists are beginning to think it may cause headaches that can mimic migraines, or aggravate migraines in those who already have them. For example, one Italian study that followed 90 migraine sufferers determined that four had Celiac disease and had those subjects follow a gluten-free diet for six months. 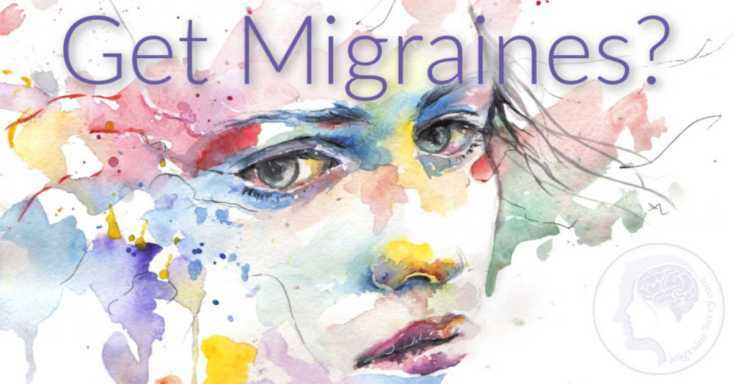 During this time, one of the four patients had no migraine attacks, and the remaining three patients experienced an improvement in frequency, duration and intensity of migraines” (Rizzoli, 2011, p. 182). Migraines can be triggered from gluten intolerance or gluten sensitivity without the full blown immunological response or intestinal changes of Celiac disease. If you notice your migraines being triggered by any food that has gluten in it, it would be worth getting the blood test to see if you have Celiac disease (ibid.). Two other resources that I trust, and you can find more information and a detailed list of foods that contain gluten are on the Celiac Disease Foundation website and the Mayo Clinic website. It might help to test out an elimination diet. The best way to avoid migraines and gluten in foods is to get used of reading your food labels. Someone once said to me, if you even have to read the label, you should not be eating it. Meaning, eat fresh food, home cooked meat and vegetables and you can’t go wrong. You can always phone the food manufacturers is you want more information on the product. Cross contamination can be important. This means that a knife used to cut normal bread should not be used without a thorough wash with hot soap and water, before cutting you gluten free bread. Or washing the cutting board off before you cut up your veggies. I found this a necessity at first, when I was becoming gluten free. My ‘allergic’ reactions were severe. But now, some 8 years later, I can use the same toaster as my husband, but not the same cutting boards. Be very clear if you are going over to a friends for dinner, or out for dinner. We are lucky now a days, there seems to always be gluten free food on menus. If there is not, be sure to ask, so that they get the hint for the future. If they want your return business that is! Ask your pharmacist about your medications, herbs and supplements. I have noticed that many supplements now actually say gluten free if they are. Back to reading the labels. Anything that says gluten free (GF) should be a safe food to eat. Although, I must say I find many GF things high in sugar. So you might need to read your labels closely. • Fresh Meat: Fish, chicken, turkey, steak. Anything that is NOT marinated. • Grains: Rice: white, brown, Millet, Quinoa, Amaranth, Buckwheat. • Gluten free flours made from: amaranth, almond (if not allergic to nuts), rice, soy, chickpeas, coconut, buckwheat, potato, corn. Want to experiment with your diet? 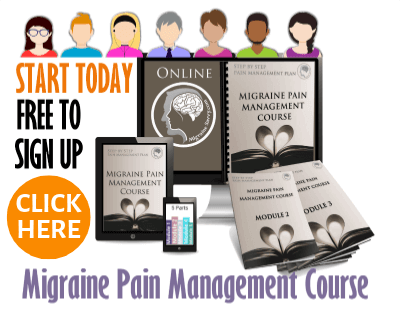 Click here to enroll for free in my Migraine Pain Management Course. I could not pin point gluten as one of my migraine triggers. But as I said, my energy levels picked up enormously once I stopped eating gluten. And then of course there was the blood test to confirm it. My doctor said she did not know how it could have been over looked for so many years. There is also some strong evidence that dairy products may create a similar reaction in the blood, even if you are not lactose intolerant. So once you trial gluten, you might want to eliminate dairy products and see if that has any effect on your migraines. Always remember to keep a migraine diary when you are trying new things, so you can clearly see the results and have something to show your doctor. Do you struggle with migraines and gluten, is gluten a migraine trigger for you? 1. Rizzoli, P MD, Loder E., MD and Neporent L. (2011) The Migraine Solution: A Complete Guide to Diagnosis, Treatment and Pain Management. St. Martins Press: NY. (pp.182-183). 2. Bioconcepts (2012) Celiac Disease. Available [Online] at: http://bio.health.naturalstandard.com/index-abstract.asp?create-abstract=condition-celiac.asp&title=Celiac%20disease Accessed July 11, 2013. 3. Mauskop, A. MD (2011) Gluten Sensitivity and Migraines. 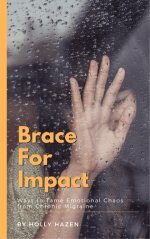 Available [Online] at: http://migraine.com/blog/gluten-sensitivity-and-migraines Accessed July 25, 2013 - updated 2018. FTC Affiliate Disclosure - in some of my posts I recommend carefully chosen, evidence based, migraine relief products. If you buy something through one of those links, I may earn a commission. There are NO extra costs to you. Overwhelmed by your choice of migraine treatments? Click here to find 10 tips to help formulate an effective plan. Be prepared for the next attack so you can stop it as fast as possible. What gets rid of migraines fast? The right medications and knowing what to do. Check out these headache relief tips from 10 leading experts. Some tips might surprise you. Some things people say to me around having migraines shocks me. Click here for 20 migraine comments I never want to hear again. Use this as venting therapy with people who understand. Completely! I bet you can tell me how your physical symptoms manifest themselves. But what about the emotional chaos that ensues? 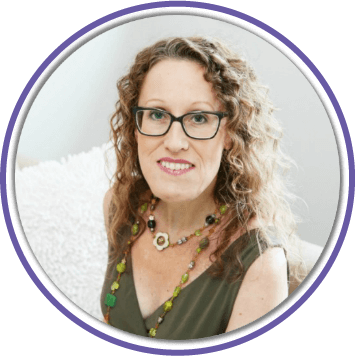 Click here for help with the emotional phases of migraine and tame the chaos. 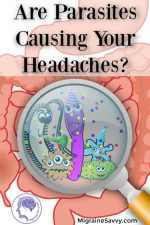 Can having parasites be one of your causes of migraine headache? A small amount of evidence points to yes. Learn what to watch for and get some natural treatments now. Don’t ignore the signs. Get everything you need all in one spot. 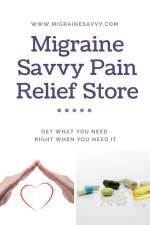 The Migraine Savvy Pain Relief Store has tips and tools for instant pain relief and long-term comfort aids. Don’t wait to stop an attack. Act asap. Intense pain or symptoms driving you crazy? Feeling lost and confused? Learn focusing with chronic pain so you can transform overwhelm and confusion into life forward energy. Your life is waiting! Copyright© 2010- MigraineSavvy.com. All rights reserved. The information appearing on MigraineSavvy.com is intended for educational purposes only. It should not be used as a substitute for professional medical advice, diagnosis or treatment.